I saw your May 9 interview of Dr. Garen Wintemute, “Doc-to-Doc: Gun Violence as a Public Health Issue”, regarding the now well-worn meme of firearms as a “public health issue”. 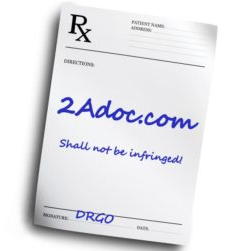 As you must know, Doctors for Responsible Gun Ownership (www.DRGO.us) has been prominently involved in this contentious public policy debate for a quarter century. We take the position that firearms are not a public health issue, and that public health approaches reliably ignore fundamental realities of gun ownership, not the least of which is its status as an American civil right. 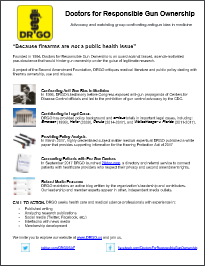 DRGO has presented the case for responsible gun ownership to organized medicine, in national media, and at federal, state, and local government forums for decades. We have twice testified before U.S. congressional committees, been interviewed on CBS News 60 Minutes, presented to the AMA, published dozens of op-ed pieces in national newspapers and online outlets, been interviewed by CNN, Fox News, CBS News, NPR, and too many others to list here. 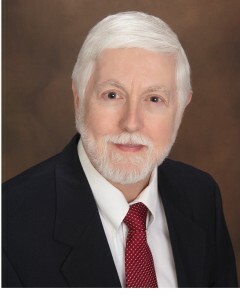 Our past director Dr. Timothy Wheeler was video-interviewed last year by MedPage Today’s previous editor, Peggy Peck, about his testimony before the House Appropriations Committee in 1996, which was instrumental in Congress defunding anti-firearm civil rights political activism at the CDC. So it is surprising, to say the least, that you didn’t contact DRGO for some balance in your piece on this contentious issue. A quick review of the comments section after your article supports the contention that many disagree with Wintemute’s approach. Your MedPage Today audience might also be interested in the reasons DRGO testified in Sacramento before the California legislature against Dr. Wintemute receiving taxpayer money to fund his personal research at UC-Davis. We would be happy to do another interview with MedPage Today to present the other side of this issue. Thanks for reaching out. My “doc-to-doc” series is designed to discuss a wide variety of topics with researchers who have contributed significantly to a field. Far from a “policy” interview, these are designed to be more about the data that has emerged out of successful labs and research groups across the country. Few would argue that Dr. Wintemute is one of the most prominent gun violence researchers in the country. From what I can gather on your website, DRGO takes the position that all research on guns is “advocacy research” and therefore invalid. As a researcher myself (though one in the less-contentious field of kidney disease) that kind of blanket language is disheartening. That said, I would be happy to consider a doc-to-doc interview with a researcher who has published in high-quality peer-reviewed journals and has data to support positions that more align with your ideals. Perhaps you can point me in the right direction, but unfortunately the federal ban on gun research that your group has supported has limited research on both sides of the issue. I’d also like to point out that I agree that no amount of data (however collected) addresses the issue of a god- or constitutionally–given right to bear arms. Debating those larger issues is not really the purpose of doc-to-doc. My goal is to interview people who have data to bring to bear on the problem. Again, if you have a researcher you’d like me to consider, I’m happy to take a look. You’ll see a brief exchange below that I had with Dr. Wilson about his interview of Dr. Garen Wintemute and his research. 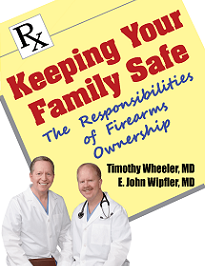 You should be familiar with Doctors for Responsible Gun Ownership–we have been featured in MedPage Today as in many national outlets articulating the other point of view on “gun violence” research, which is typically very poor quality. Peggy Peck, who had worked with us, was kind enough to provide me with your contact info as managing editor. There are thousands of health care providers nationwide who feel betrayed by our profession’s wholesale buy-in to the false meme that “gun violence is a public health issue”. (That is one reason that medical association memberships are minorities of all those eligible.) Two statements by Dr. Wintemute in the interview underline his longtime bias: “If it isn’t a health problem, then why are all these people dying?” (from David Satcher) and “the piece that we need to talk about is the prevalence of firearm ownership in the United States” rather than the multiplicity of issues affecting the incidence of gunshot morbidity and mortality. “Gun violence” research that focuses on “the prevalence of firearm ownership” is intrinsically off track, given the 47% of American households that have them (recent WSJ/NBC survey, and probably more since >1/3 of gun owners now say they won’t tell surveyors they own firearms). To presume that “gun prevalence” is a determining factor for “gun violence” flies in the face of the facts. While the number of guns in the U.S. have (very conservatively) increased by over half in the past 30 years, violent crime and homicide have about halved, and non-injurious firearm victimization has declined by about 75%. Accidental firearm deaths have also declined dramatically, as people get better educated about true firearm safety (how to handle firearms, not laws to restrict availability). The problems that need primary attention are the prevalence of violent imagery in our culture, the prevalence of urban gang/drug-related violence (the greatest problem in homicide), and the mental health issue of suicide, which has sadly not changed substantially in recent years. 1. “Dr. Wintemute is one of the most prominent gun violence researchers in the country.” Prominent, yes, although not objective; he has a long, documented history of gun control advocacy. His research has followed those beliefs, with poor validity as anyone capable of reading research can tell. In addition, his brand new UC-Davis Violence Prevention Research Center is a taxpayer funded earmark that is opposed by substantial numbers of Californians yet was pushed through committee and the Legislature without fair hearing. 2. “From what I can gather on your website, DRGO takes the position that all research on guns is “advocacy research” and therefore invalid.” That is false, and clearly demonstrates that Dr. Francis does not comprehend our positions. “Research on guns” [sic–one hopes he meant “on gunshot” injury, not “guns”] can be useful, if conducted objectively. Further, the most best research is not being done by our medical profession, but rather by economists, sociologists and criminologists, whose fields encompass the issues underlying people committing “gun violence”. Physicians are essentially unqualified by their training to investigate other than the consequences (medical harm) that ensue. Defining “gun violence” as a “public health” area for inquiry attempts to preempt authority but the results of that have been messy at best. And my colleagues who take that mistaken route, sadly, refuse to credit these other disciplines with any knowledge about the subject which raises more questions about objectivity. 3. A huge deficit in the popular “public health” approach to “gun violence” is the complete ignoring of the benefits of armed Americans. Data recently confirmed by the CDC after Gary Kleck, PhD criminologist, demonstrates that. I have never seen a supposed “public health” approach to anything that is publicized so one-sidedly. 4. If Dr. Wilson wants to hear from a researcher who has the greatest expertise and productivity on questions of gun injury and death, he would invite John Lott, PhD for an interview. The anti-gun lobby tries very hard to denigrate his work, but it is truly exceptional. The reason they try to negate it (often using ad hominem disparagement) is that he is one of the greatest experts (like Gary Kleck and Gary Mauser), a highly conscientious researcher, and the most articulate spokesman for the reality that guns in America contribute more to our safety than to violence. Dr. Wilson may not want to interview representatives, medical or otherwise, who can describe the full picture about research into the various forms of “gun violence” (murder, justified homicide, suicide and accidents, all of which are different in etiology and require different intervention). He may prefer to bypass the core issue that the right to keep and bear arms is a natural right enumerated in our Constitution, which must be respected as solutions are sought. We don’t, and we hope that you will continue to invite our input as these issues are covered in MedPage Today. We’re glad to sit for further interviews and to write for MedPage Today, as you wish. It’s been over a month since you thought you’d be able to respond in a few days, unless I have overlooked your follow-up. I trust that doesn’t reflect any wish to ignore the rational, fact based side of the debate over gun safety, public health and medical care. 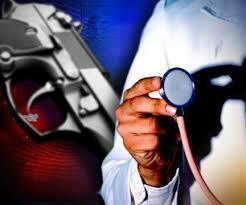 Why not write a special report on DRGO and the health professionals we represent, emphasizing the good research we can share that demonstrates the non-crisis of supposed “gun violence”, the inappropriateness of classifying shooting deaths as any unified “public health” matter, and the actual value of defensive gun usage that substantially outweighs the tragic losses that we are all aware of from misuse of firearms? Still looking forward to working with you. 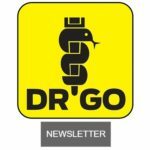 In order to keep you up-to-date on DRGO’s activities, I hope you wouldn’t mind my adding you to our Media email list, too.